Our Self Adhesive A4 Magnetic Sheets can be used in a variety of applications where you want to x your own printed card, sheet or shape to them. 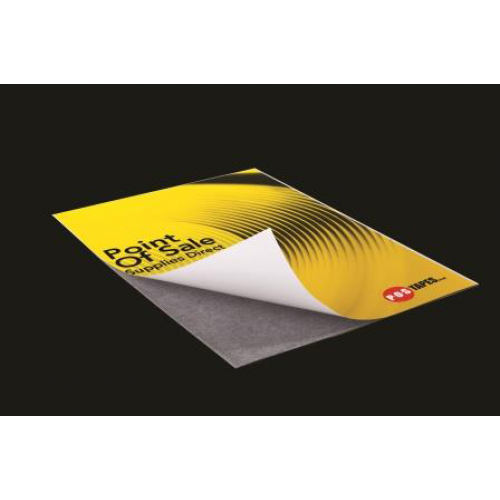 The adhesive surface provides a strong and durable xing for lightweight media making them the ideal choice for Point of Sale applications. They are flexible and will adhere to magnetically receptive surfaces making it easy to move them to different locations. They can be cut to size easily using scissors or die cut into different shapes.